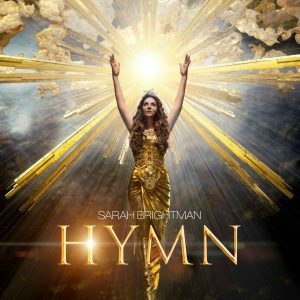 NEW YORK, NY (SEPTEMBER 17, 2018) — The world’s most successful and best selling soprano Sarah Brightman will unveil her much anticipated fifteenth full-length album, HYMN, on November 9, 2018 (Decca Gold/ Universal Music Group). This marks the multi-platinum, GRAMMY® award-nominated, classical crossover pioneer’s first new studio recording since she released the international chart-topper Dreamchaser in 2013. Mexico, Puerto Rico and South America dates have also been announced. See the announced tour routing below. Additional dates will be be announced in the coming months. *The ticket CD bundle offer includes all North American dates with the exception of Atlantic City.